: This is obviously a smaller version of the above with the SR diving to the same sort of depth, 0.5m to 1m and the DR diving from 1.5m to 2.5m. 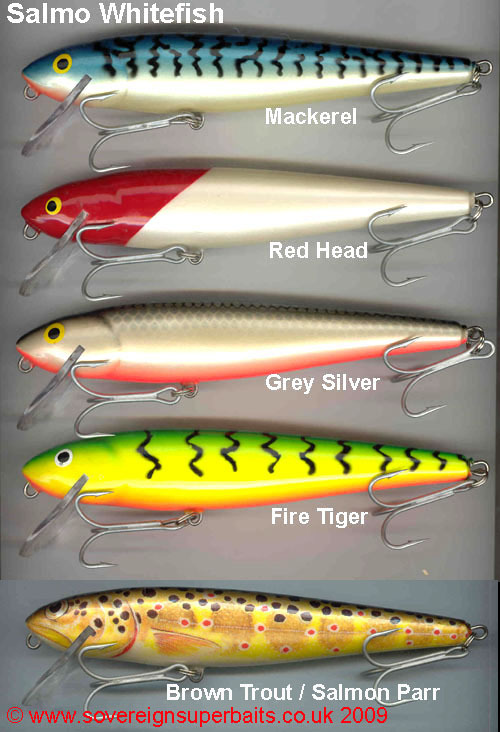 It has all the same attributes, action and castability; both sizes are superb trolling lures upon which we have had some truly outstanding results. The 8cm SR weighs in at 12g while the DR weighs in at 14g. 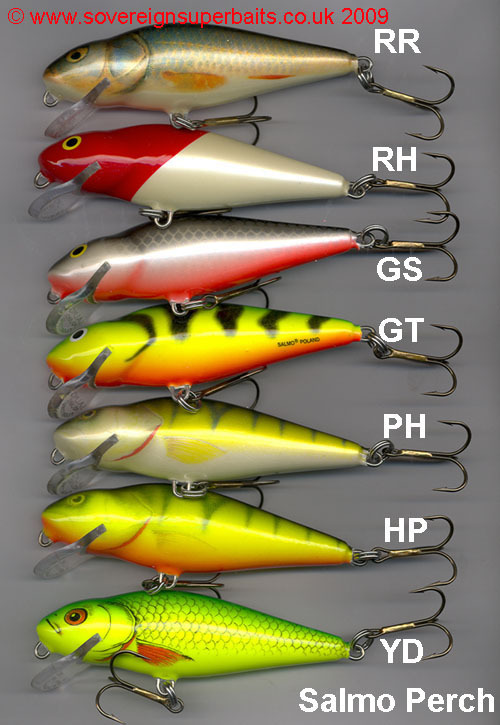 : A moderate sized, easy to work lure from the Salmo stable. 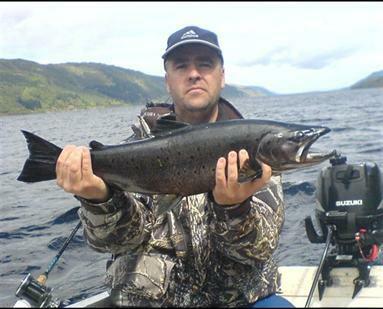 Like all Salmo lures it has a cracking action and works straight from the packet. It dives to around 3ft and is a useful lure to have in your armoury. 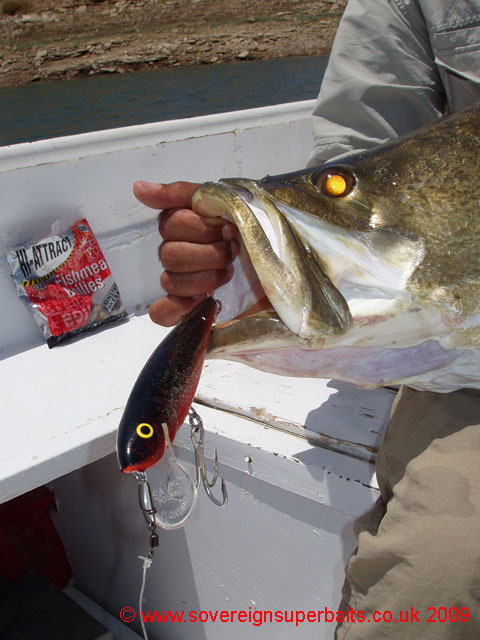 : A large minnow bait at a very reasonable price. It has proved very successful in the UK for all our resident freshwater predators as well as sea bass and pollock. 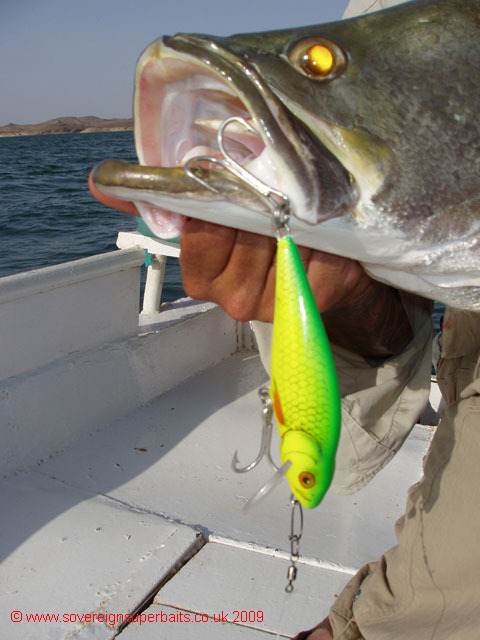 It has also found favour with Nile perch anglers as it is tough and wired right through. It has a really enticing wiggle, the floater runs down to around 8ft and the sinker can be counted down to any depth but will troll down to around 25ft on its own. 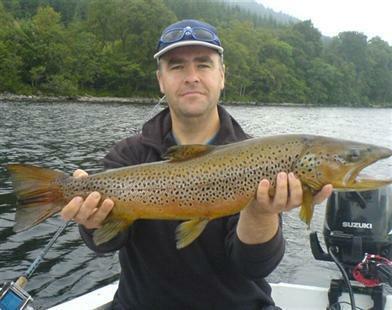 Two excellent ferox trout caught by Robert Ralston on Loch Ness while using a Salmo sinking whitefish in "Brown Trout" pattern.